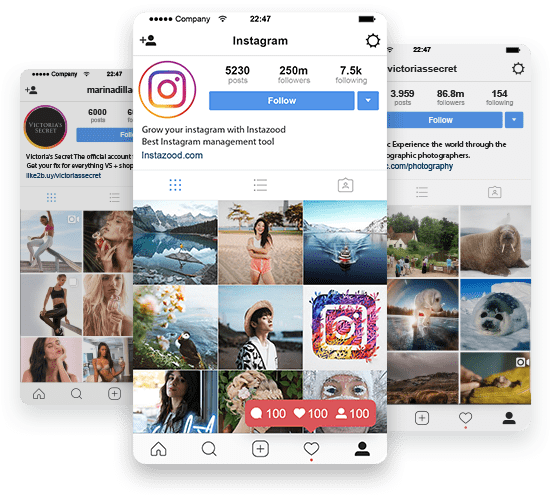 How to Get Followers on Instagram with Instagram Bot? The web is filled with many Instagram bots and tools that promise results regarding increase the number of followers and likes on social networking sites. Most of the Instagram bots promise to deliver results overnight! We don’t. We know that creating a reliable and trustworthy profile using visuals can take time. And we also know that you may not have enough time to manage your social media profile. Instazood Instagram bot is an effective tool that you can get real results with it. Our Instagram bot guarantees that the followers and likes you get through our service are genuine and not merely forged by bots. The likes you get as well as the followers you get are real people who are genuinely interested in your gallery. They are the people who want to connect with you. Our system provides tons of filters and customization options to help you increase your Instagram followers, likes, comments, and view stories for the target audiences that make sense for you. 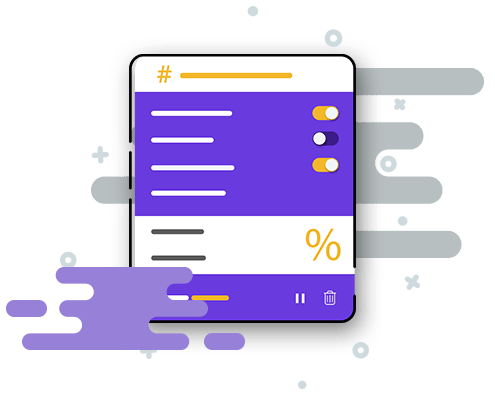 Our one of a kind service will automatically reduce its speed to ensure that your account is safe from hitting Instagram limits and we offer multiple speed settings for advanced users. We’ve optimized our Instagram bot to work seamlessly on all mobile devices. You can access and manage your activity whenever you want, wherever you are. Instazood Instagram bot guarantees that you will receive technical assistance whenever you need it. Feel free to contact us with your questions and our friendly team will get back to you within 24hours hours. With Instazood you can easily automate like, comment, follow, and view stories activities based on specific hashtags and geolocations, as well as unfollow users from different sources. You can use Instazood directly from the web on all browsers. You don’t need to download or install anything to enjoy our service, which is why Instazood is the safest Instagram bot available. Through our sleek dashboard, you can monitor your activities, check your stats, start or stop all activities simultaneously, add accounts(usernames), hashtags and locations as targets, manage each target separately, track Instagram bot activities on all targets, post on Instagram, schedule your posts, and check the Statistic, track your comments, and send DM. Best of all, you can manage one to hundred Instagram accounts with one Instazood account. You can localize your Instazood dashboard, just by one click. Multiple languages are available on Instazood Instagram bot just to meet your needs of using your own language. 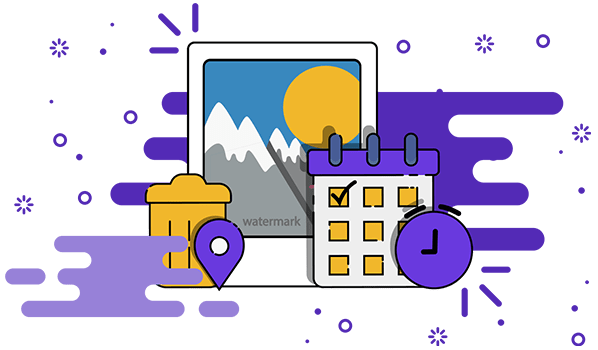 One of the powerful tools that Instagram Bot has prepared for you is “Schedule Post”. 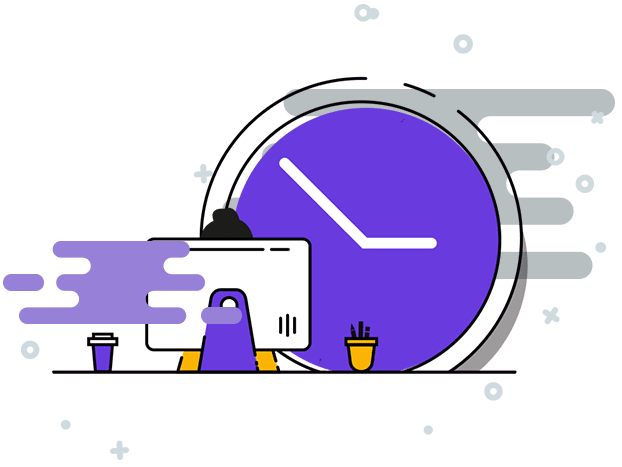 Instagram Schedule Post allows you to upload your photos in your Instazood dashboard, and then the Instazood Instagram bot will automatically publish the photos at the exact time that was scheduled by you. Imagine you are busy and you don’t have any time for example when you are at work, travel, etc. Instagram bot posts your photos on your Instagram feed on your behalf. With instazood Become the center of attention and let everybody hear your voice. Real and engaging followers who will continuously share what you publish with instazood. Got the greatest sales pitch? Let Instazood instagram bot be the ball that makes your competitors strike out every time! Let Instazood attract preferred followers, because one follower is not equal to another. Let Instazood not only spread your products, but your brand as a whole. Let us make it easy for you to inspire others and follow your ambition. Many people often struggle to do a number of things in less than 24 hours every day. One of those jobs they should do is managing their Instagram accounts. The only promising way to achieve success on Instagram is increasing your engagement with people. How can we be in touch with people in the virtual world?! By liking, commenting, following, viewing stories of other accounts. If you want to do it manually it takes a long time. So if you cannot afford to spend more than just a few minutes on marketing every day, Instazood will do the job for you. So if you cannot afford to spend more than just a few minutes on marketing every day, Instazood will do the job for you. That is right. Spend just a few minutes setting up the Instazood Instagram bot account and let our powerful Instagram bot handle the rest! Instazood is wonderful. I use it every day to gain my Instagram followers that makes my business bigger and I find more customer every day. One thing I like is their “scheduled posts“, with this feature I can schedule my posts so when I travel or work and etc Instazood posts on my Instagram. I would recommend Instazood to people who need grow their business on Instagram. Instazood helped me by give me powerful tools to manage Instagram accounts. Instazood give me ability to manage multi Instagram accounts of my Employers with one user. I work with instazood about six months.